BHR Hollywood Reports.........Unsung will profile Xscape, the all girls group that was popular in the 1990’s tonight in an new episode. Unsung is a 60-minute tv series that profiles African American singers and groups related to the genres of Soul, R&B, and Gospel. Tonight’s Unsung will chronicle the rise and fall of Xscape. The story will be told through interviews with former members of Xscape, including Real Housewives of Atlanta’s Kandi Burruss. 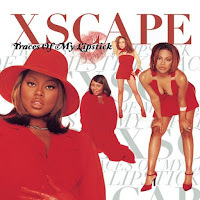 American R&B group Xscape formed in 1990 and was comprised of four talented singers: Kandi Burruss, Tameka Tiny Cottle, and sisters LaTocha and Tamika Scott. Back in Georgia, the girls attended church together and attended Tri-City High in College Park. Tamika Scott and her sister, La Tocha, grew up singing in the choir. Later, they met Kandi and realized that they had a lot in common with her. Tiny was brought in later after she passed the audition. And as for their music? It was always “on point.” It’s impossible to discuss the 1990’s without talking about Xscape. Unfortunately, there was a price to pay for all of their success as their friendship took a hit when jealousy began setting in. LaTocha Scott stated that Kandi, who started out as the lead singer in the group, grew insecure about LaTocha suddenly taking center stage, often asking Jermaine Dupri if he was grooming her to be the lead singer. 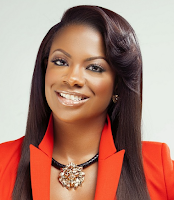 Despite Kandi’s sexual relationship with Dupri, LaTocha Scott emerged as the star of the group due to her fierce vocals.